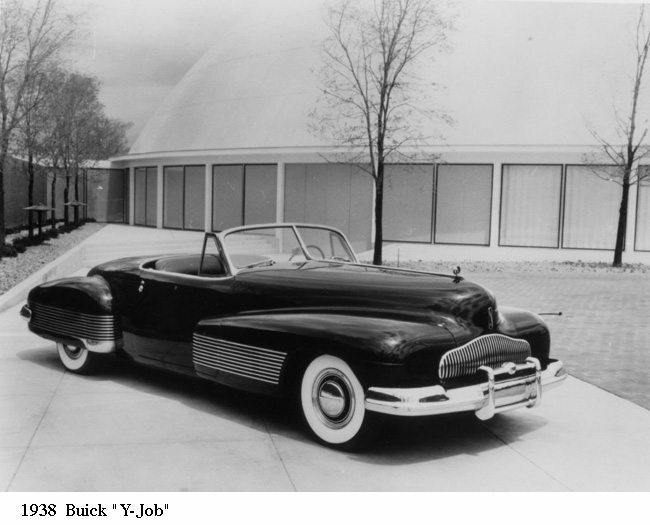 Harley Earl was always striving to make cars lower and longer “because my sense of proportion tells me that oblongs are more attractive than squares.” The Y-Job fits that description, strikingly modern and sporty in design, with front fenders swept back into the doors. Other features: a straight 8 engine, disappearing headlamps, flush door handles, convertible top concealed automatically by a steel boot, electric window regulators and small (13-inch) wheels with airplane-type air-cooled brake drums. It is owned by General Motors.